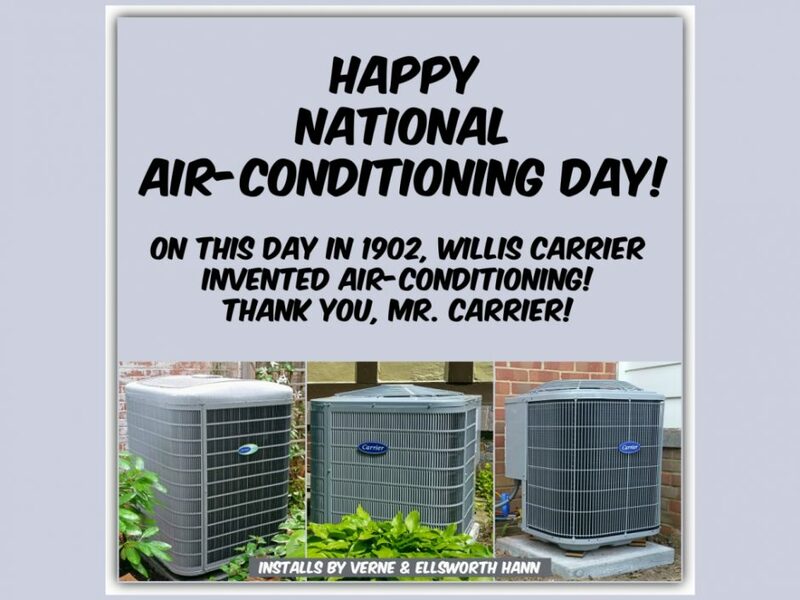 Today, July 17th, I am extremely grateful for Mr. Willis Carrier! In the year 1902, Mr. Carrier invented air-conditioning. This man is a hero to me! If you don’t have central air-conditioning…what better day to call Verne & Ellsworth Hann for a free estimate? Let’s all appreciate what Mr. Carrier has contributed! Enjoy National Air-Conditioning Day!